Vietnam and China are neighbors, which is why over the millennia, many Chinese dishes have become part of the Vietnamese repertoire. I grew up with savory-sweet, garlicky Chinese barbecued pork, popularly known in America as char siu, its Cantonese name; in Vietnamese, it’s called xa xiu. We tucked char siu into banh mi sandwiches, stuffed it into steamed buns, threw it into fried rice, and added it to noodle soups. We also snuck slices of it from my mom’s cutting board. She used NOH brand of char siu seasoning mix, which contained artificial coloring to create a cheery red exterior—just like what we saw and ate in Chinatown and Little Saigon. It wasn’t nuanced and complex in flavor, but she was cooking like many of her peers. The sweetness and color make for great kid food. I loved it. Classic char siu is made with fatty pork shoulder, which requires an overnight marinade for good flavor. My healthy weeknight alternative is to use chicken thighs. To cook the chicken, you can use a stove-top grill pan as suggested in the recipe. If the weather permits, prepare a medium charcoal fire or preheat a gas grill to medium and cook the chicken for 10 to 12 minutes, basting during the last 3 minutes. Oven roasting the chicken yields perfectly fine flavor, but grilling it produces wonderful old-school character. Living alone and cooking this dish on my own, I read Chinese cookbooks and concocted marinades from scratch with ingredients like fragrant Chinese five-spice powder (the blend by Spicely is excellent), hoisin sauce (Lee Kum Kee is a standard), honey (use an amber one for bold flavor and rich color), soy sauce, and fresh garlic. To achieve a mahogany finish on my char siu, I tried a variety of things, including dark soy sauce and fermented tofu, sold at Asian markets. 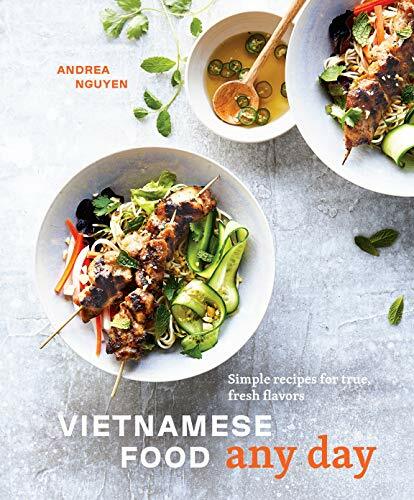 But in streamlining recipes for my book, Vietnamese Food Any Day, I employed ketchup, which works well and is readily available. Going from-scratch for the marinade was easy. More importantly, the layers of flavors elevated the Chinese barbecue of my youth. Now I don’t just love it—I adore it. Boneless, skinless chicken thighs are naturally uneven, like the palm of your hand; there’s a much thicker side. If you buy small to medium thighs, that unevenness is usually negligible in a recipe like this one. But when the thighs are large or extra-large, the unevenness can be problematic on the grill. That’s why I include instructions to butterfly the thighs. Those smaller thighs can be left as is, but with bigger thighs, a few slashes with a knife are all you need to end up with a flatter, more uniform piece of meat that will cooker faster and more evenly. When sliced up, it’ll also seem like you have much more, enough to feed a crowd. But you may just want to serve this Char Siu Chicken to a smallish group. It’s irresistibly good and incredibly useful. Along with traditional ways of serving char siu, you can certainly serve this Char Siu Chicken like regular American barbecue with a sprightly slaw and even potato salad. Add Daikon and Carrot Pickles for extra Viet flair. If your thighs are quite large, butterfly them: Pat the chicken thighs with paper towels to remove excess moisture, then trim and discard any big fat pads. If the thighs are large or super uneven in thickness, butterfly each one. Lay the thigh, smooth-side down, on your cutting board. Wielding your knife horizontally, slash the big mound of flesh to create a flap of meat, stopping just shy of cutting all the way through. Fold back the meat flap that you just created. The thigh should now be about 50 percent longer and relatively even in thickness. If the result seems awkwardly large, cut it crosswise into two smaller, square-ish pieces. Set aside. 1 Marinate the chicken: In a large bowl, stir together the garlic, five-spice powder, honey, hoisin, soy sauce, ketchup, and sesame oil. Remove 3 tablespoons and set aside for glazing the chicken. Add the chicken to the bowl, coating the pieces well. Cover with plastic wrap and marinate at room temperature for 30 minutes, or refrigerate up to 24 hours (return to room temperature before cooking). 2 Grill the chicken: Lightly oil a cast-iron stovetop grill pan and set over medium-high heat. Add the chicken and cook for 6 to 10 minutes, turning several times. To test for doneness, pierce the flesh with the tip of a knife: The chicken is cooked when clear juices flow out. During the last 2 minutes of cooking, when the chicken feels firm-ish, baste with the reserved marinade to freshen flavor and add sheen. Alternatively, prepare a medium charcoal fire or preheat a gas grill to medium and cook the chicken for 10 to 12 minutes, basting during the last 3 minutes. 3 Serve: Transfer to a platter and let rest for 5 to 10 minutes before serving. Hello! All photos and content are copyright protected. Please do not use our photos without prior written permission. If you wish to republish this recipe, please rewrite the recipe in your own unique words and link back to Char Siu Chicken on Simply Recipes. Thank you! This looks sooo good omg!! Is the Chinese five-spice powder a specific thing? Sorry it’s just I’ve never heard of this before :p and really wanna try it!! 1 teaspoon crushed anise seed or 1 star anise, ground. 1/4 teaspoon crushed fennel seed. Hi, Jessy! As JoeW says, yes, Chinese 5-spice is its own specific blend of spices. You can make it yourself (Joe’s mix looks good! ), or you can find it in the spice aisle of most grocery stores. Enjoy! Made this last night. My only variations is that I used bone-in thighs from which I removed the skin; I used Dynasty hoisin sauce (not as good as what she recommends); and I cooked them on the BBQ instead of the skillet. I have the skillet she recommends, but I was doing six large thighs, and I couldn’t fit them all on the skillet at once. The BBQ did a great job, and the result was extremely good. My only gripe is that, to me, the taste didn’t remind me of Char Sui (mostly pork) that I’ve had at restaurants in the past. There is some flavor missing that I can’t quite put my finger on. Despite that, I highly recommend this recipe. I suspect the missing flavor is rice wine and/or brown sugar, both of which are common in other char siu recipes. Authentic char siu uses red bean curd for coloring, which does change the flavor subtly, but the wine and sugar are more noticeable. The garlic seems original to this one, but it sounds great. I’ll be trying it this weekend.